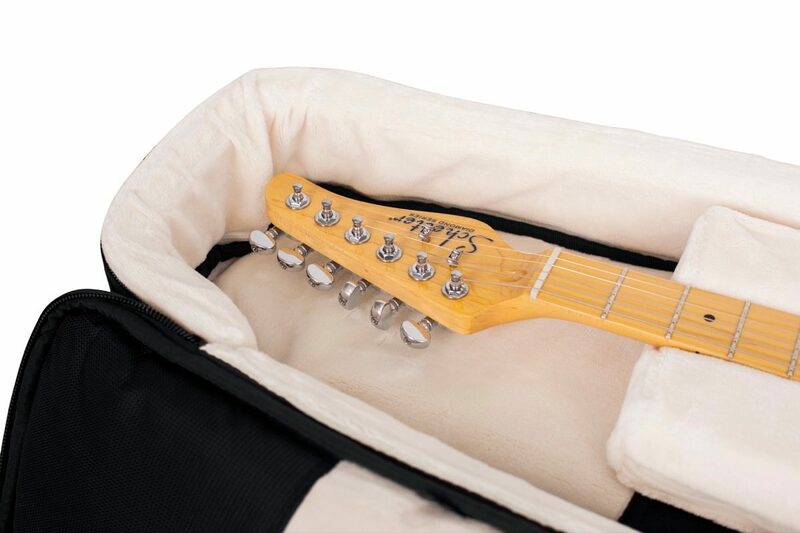 The Gator G-PG ELEC 2X is a 4G Style gig bag for 2 electric guitars with adjustable backpack straps. 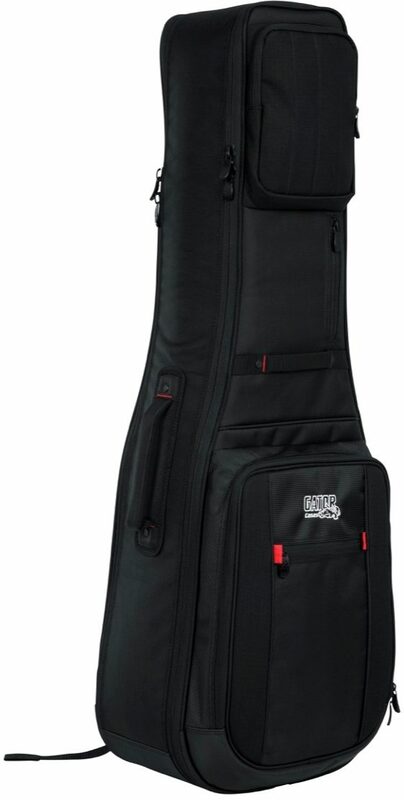 - Lower Bout Width: 14.00"
- Middle Bout Width: 13.00"
- Upper Bout Width: 11.00"
"Gator Two Gutar Pro Level Gig Bag"
Overall: I bought this because I was tired of lugging two guitar cases or worrying about my guitars in two wimpy gig bags. 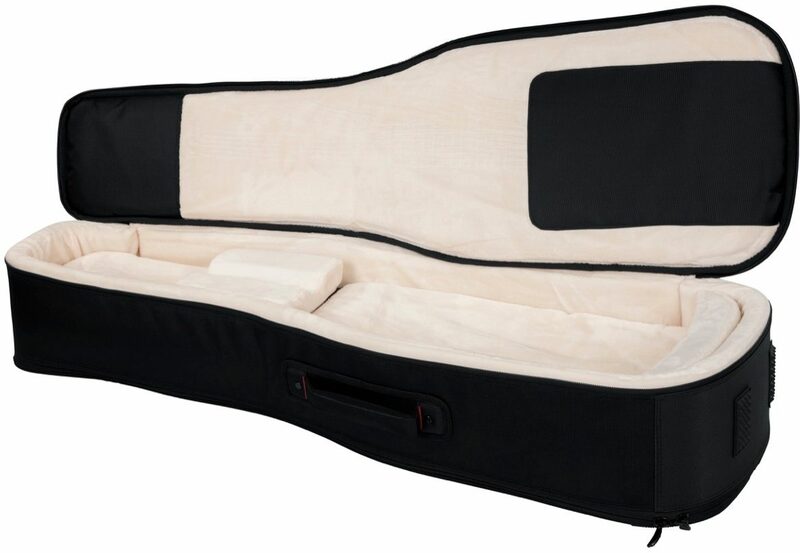 A friend of mine bought the same ProGo level single guitar bag and it was plush and could stand up on its end and not fall over. 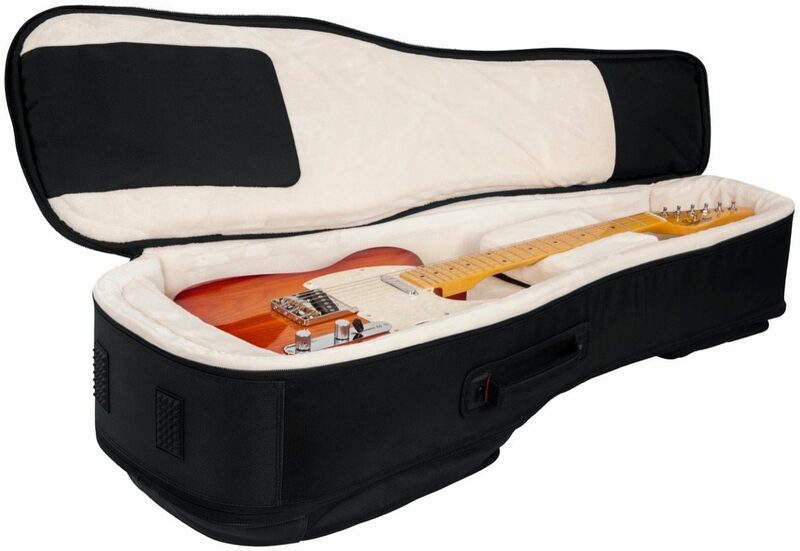 So, I bought the dual guitar bag. 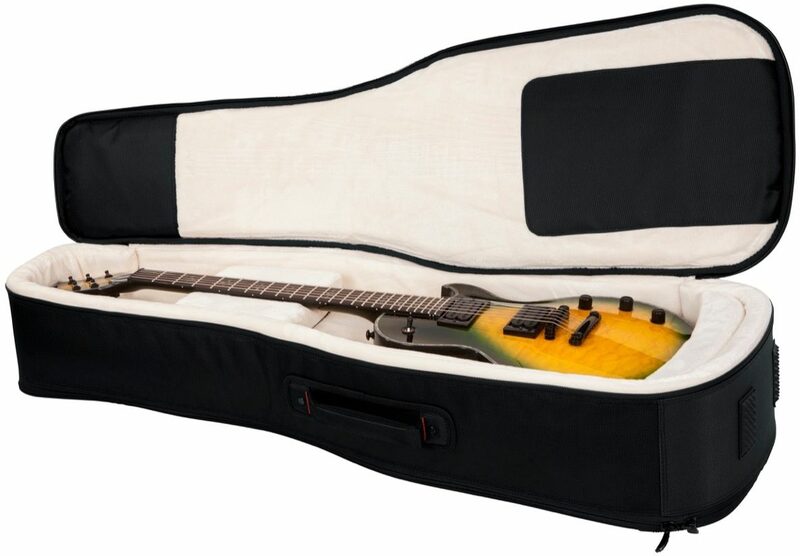 It saves me a lot of space, though two guitars in one case is heavier, it is worth it, because you can use the shoulder straps which leaves your hands free to bring in something else. This line of products are expensive, but the protection is amazing. 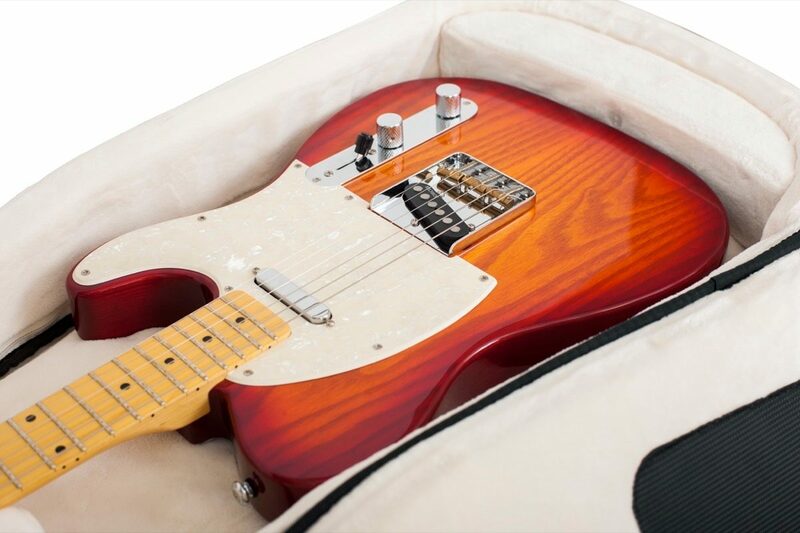 It is the best gig bag you can buy. I also like the idea of putting the guitars back into it while it is standing. I don't have to bend over and put them in... I am getting older and have a bad back, so it makes a difference. Style of Music: I play about everything.. Overall: I am very pleased with my purchase! This thing is built like a tank! Other bags are so flimsy but this has plenty of padding and is very rigid. 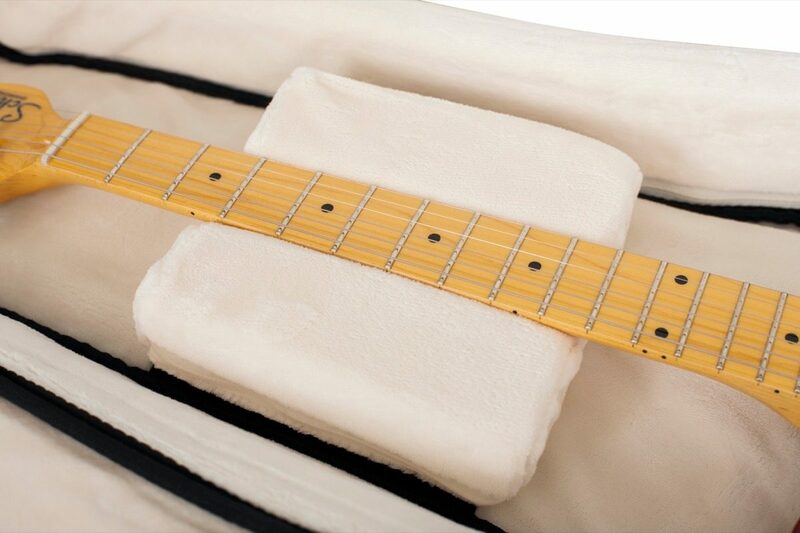 I was worried when i purchased it that the two guitars would be protected very well form each other, but there is about 3 inches of padding between them. Plenty of storage and plenty of protection!